The Charlie’s Angels reboot has officially wrapped and now we have a first look at the upcoming Sony Pictures continuation of the franchise. Helmed by Elizabeth Banks, the new film stars Kristen Stewart, Naomi Scott and Ella Balinska – a trio of new Angels who are part of a large network of security and intelligence operatives around the world. Banks will also pull double duty starring as Bosley , their handler with Patrick Stewart and Djimon Hounsou portraying similar characters in the film. Charlie’s Angels arrives in cinemas this November and also stars Noah Centineo, Sam Claflin and Jonathan Tucker. 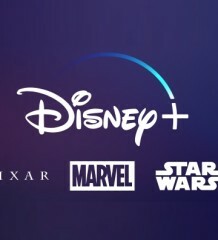 The streaming market will heat up this November with the arrival of Disney+. 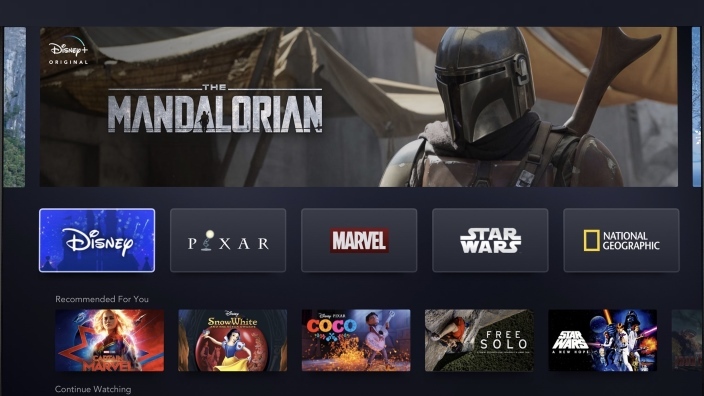 The new streaming service is due for launch on 12th November in the U.S, with an international roll-out in international territories over the next two years. The price for the service is USD6.99 per month, which is great value considering the content that is slated to be on offer. 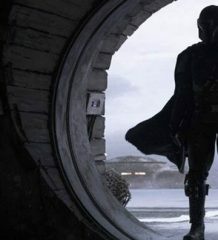 Disney+ subscribers will get access to Disney, Pixar, Marvel, Star Wars and NatGeo content plus exclusive series including standalone Marvel superhero series featuring characters like Scarlet Witch and Vision, The Falcon and The Winter Soldier and Star Wars content like The Mandalorian as well as an untitled Cassian Andor Series, featuring Diego Luna and Alan Tudyk. Action star, Dave Bautista has joined Zack Snyder’s zombie heist movie, the Army of the Dead. The action-horror tale currently in development at Netflix tells the tale of a group of mercenaries who decide to pull off a heist during a zombie outbreak in Las Vegas. Production of Army of the Dead is due to begin this year. Bautista has been scoring some impressive roles as of late including a role in Denis Villeneuve‘s Dune reboot. He is also being linked to a role in The Suicide Squad reboot being directed by James Gunn. The Terror Season 2 is heading to AMC this August. Fans of the Ridley Scott horror anthology series are undoubtedly waiting to see what’s in store next following a stellar first season. 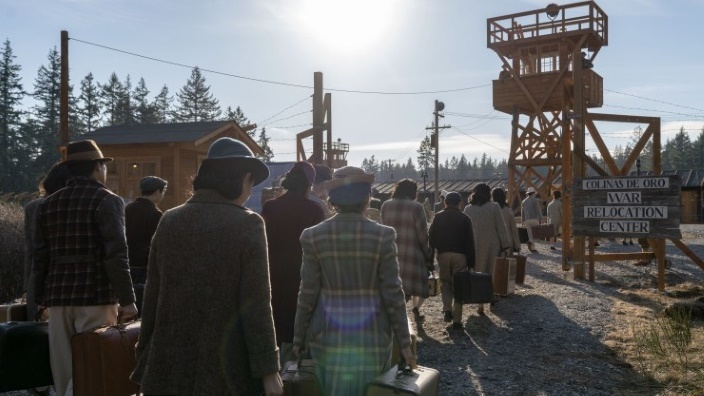 The Terror Season 2, titled Infamy, will be set during World War II, focusing on a series of strange deaths that affect a Japanese-American community. The new season will star Derek Mio, Kiki Sukezane and Cristina Rodlo. George Takei (Star Trek) will also feature in the series portraying a community elder and former fishing captain. The Terror: Infamy is set to premiere on AMC on 12 August. It looks like AMC is pulling the plug on Preacher, the Vertigo comic book adaptation produced by Seth Rogen and Evan Goldberg. In a recent announcement, Rogen announced the premier for season 4 in August but also mentioned that this will mark the final run for the horror-series. 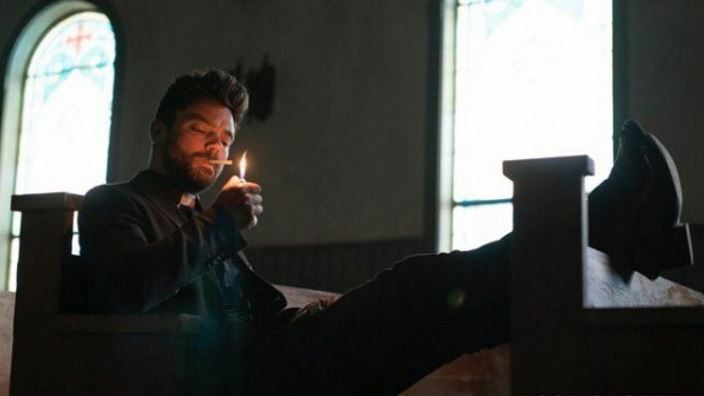 Preacher features Dominic Cooper as a Jesse Custer, a small town holy man who is possessed by an angel-demon offspring named Genesis. The show revolves Jess journeying to find answers and along the way he encounters new challenges and new demons.